Cheryl Hodge is a painter and sculptor whose abstract paintings tend toward the monochromatic, yet express an inviting intelligence and depth. 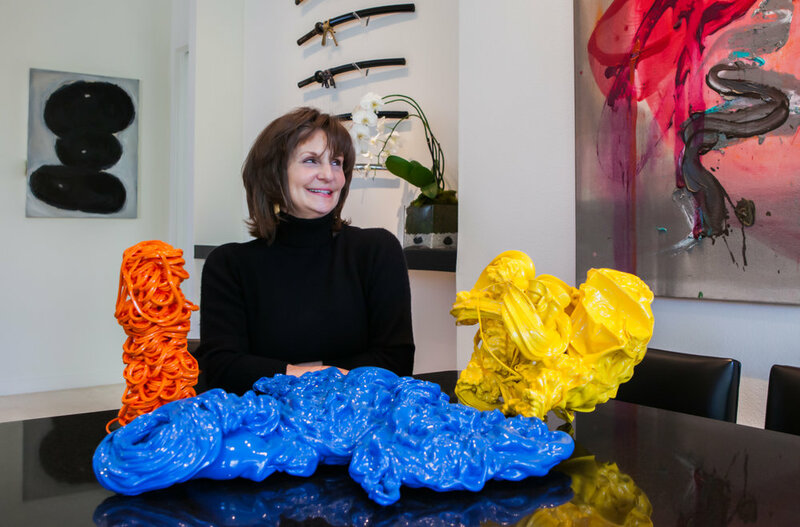 Not a one-trick pony, her extruded plastic sculptures are vibrant and eye-catching. She is as vibrant as her sculptures, and, like them, Hodge puts a smile on your face. At the same time, she is as warm and deeply intelligent as one of her paintings. Her multi-faceted and unique personality comes across so clearly in her art that owning a Cheryl Hodge feels a bit like getting to take her home with you.